If you’re looking to visit Melbourne on a budget without compromising on comfort, then this list is for you. 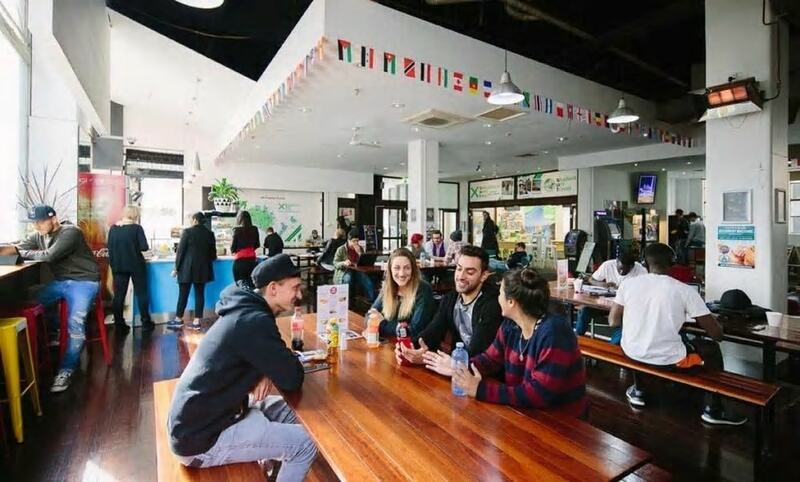 All conveniently located with plenty of freebies including Wi-Fi and breakfast, these hostels have everything you need for an enjoyable and social trip to Melbourne. 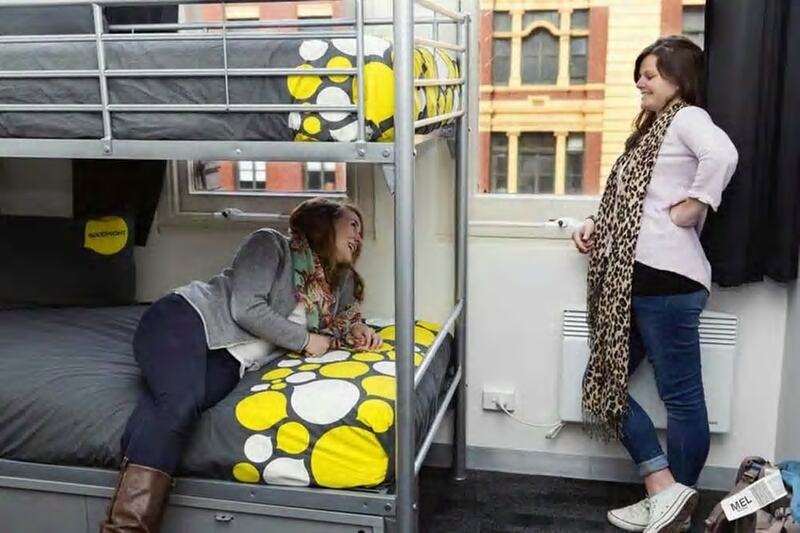 From United Backpackers to Space Hotel, The Greenhouse Backpacker, Melbourne Central YHA and Discovery Melbourne, these five hostels cater to nomads, worldly drifters and those looking for great, bargain accommodation. Conveniently located opposite Flinders Street Station, United Backpackers is the place to stay if you’re looking for central accommodation packed with personality. Inspired by Melbourne’s laneway culture, the award-winning facilities include a designer kitchen and dining room overlooking Flinders Street Station, as well as a tiered TV lounge with bean bags and basement bar Lost and Found, open seven nights a week. United Backpackers has a wide range of spacious dorms and private rooms on offer, with and without bathrooms. The hostel even has a full-time events manager and provides free Wi-Fi in common areas. Merging an up-market hostel with a budget boutique hotel, Space Hotel has reinvented the concept of backpacker accommodation. Located on Russell Street, only 600 meters from Melbourne Central, Space Hotel not only features a lounge, gym, fully-equipped kitchen, laundry area, travel desk and internet café, but the hotel also boasts a HD cinema, balcony BBQ space, Blue Moon Bar and rooftop deck with spas and 270-degree views of Melbourne. When it comes to rooms, Space Hotel has a variety of modern room options available ranging from dorms, to private and ensuite rooms. With a central location in Flinders Lane, a rooftop terrace, BBQ facilities, complimentary daily breakfast and free Wi-Fi, it’s no wonder why The Greenhouse Backpacker has been named ‘Best Backpacker Accommodation’ multiple times by both Tourism Australia and Tourism Victoria. Choose between private rooms or dormitories with a variety of room configurations sleeping between 4–8 people. The Greenhouse Backpacker can also accommodate families and groups, and longer stays. Located on Flinders Street, near the corner of Spencer Street, Melbourne Central YHA is a trendy hostel constantly abuzz with movie nights, trivia nights and weekly table tennis tournaments. Melbourne Central YHA even leads pub crawls and offers free, daily walking tours for those wishing to explore Melbourne like a local. The hostel has a large communal area with 24-hour reception and a free Wi-Fi hotspot, as well as a bar, rooftop terrace and BBQ facilities. Those after a good night’s sleep will find the hostel restful with room enough for 244 guests and the option of multi-share dorms, double and twin rooms and ensuite rooms. For those wishing to escape the hustle and bustle of the CBD, while still being within walking distance of some of Melbourne’s best attractions, Discovery Melbourne is a perfect choice. 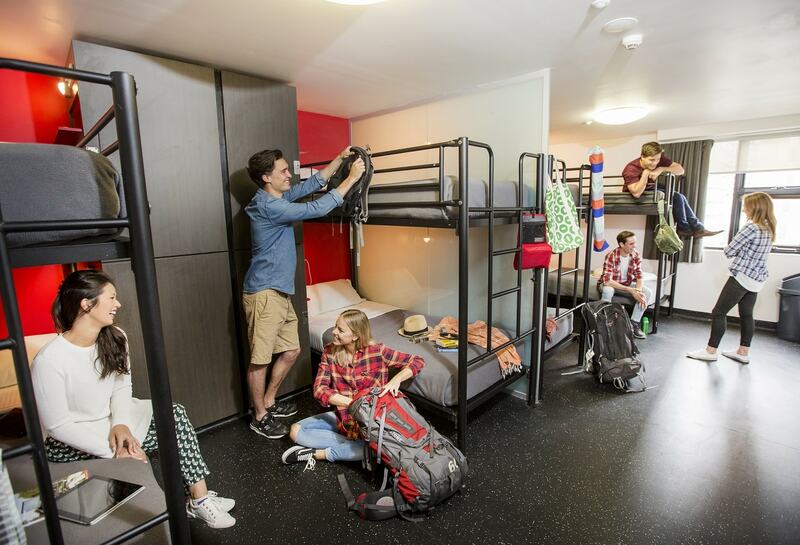 Melbourne’s largest budget hostel offers larger and small dorms as well as hotel quality private rooms. Guests enjoy complimentary breakfast daily, free Wi-Fi in the lobby and free snacks every Friday down in the Disco Bar. Discovery Melbourne also boasts an in-house café with daily meal deals, a bean bag cinema, Astro-Turf rooftop with BBQs, picnic tables and sun lounges, a travel desk, laundry and kitchen facilities, and an in-house masseur.